Hi everyone! My name’s Alyssa, but you can call me Book Club Babe. I live in the California Bay Area, and you can read my blog at bookclubbabe.net and follow me on Facebook, Twitter, Goodreads, LinkedIn, Pinterest, and Google Plus. To get to the Center from Alison’s road trip stops in Los Angeles, take 101N to the John St. exit in Salinas. Turn right on Main St. and go five blocks to reach the Center. When you’re done buying Steinbeck classics in the gift shop, visit the Steinbeck House Restaurant nearby. It’s the birthplace and boyhood Victorian home of the author, which was built in 1897. In 1974, it was opened to the public as a restaurant. Open during lunch Tuesday through Saturday, it’s a perfect place for scones and sandwiches. From Salinas, head north to Jack London State Historic Park in Glen Ellen in Sonoma County. There you’ll find what was known as Jack London’s “Beauty Ranch.” Its 1,400 acres feature the House of Happy Walls Museum, which was built by relatives after London’s death. Now it hosts his personal mementos and a complete set of first-edition books. Jack London died of kidney failure at 40 years old, and this park also contains his gravesite. Today the park hosts picnics, small concerts, and movie nights. Its tranquil, natural setting is also a popular venue for weddings and corporate events. The park is open 9:30-5:00, and costs $4 per adult and is free for children under 12. Lastly on your literary road trip, head west to San Francisco. The Bay Area was home to a plethora of writers, including Beat poets Jack Kerouac and Allen Ginsberg. I recommend visiting City Lights, the nation’s first all-paperback bookstore. Founded in 1953 by poet Lawrence Ferlinghetti, it now has three floors that feature books from both major and specialty publishers. You can attend readings at City Lights and listen to the bookstore’s podcast. After your visit, explore the nearby North Beach district, which has some excellent Italian restaurants. I recommend The Stinking Rose and Sodini’s. I love living in the Bay, so if you’re planning on traveling to my neck of the woods, feel free to contact me and I can give you more recommendations and tips! Have fun! Thanks to Alyssa from Book Club Babe for this fantastic guest post! 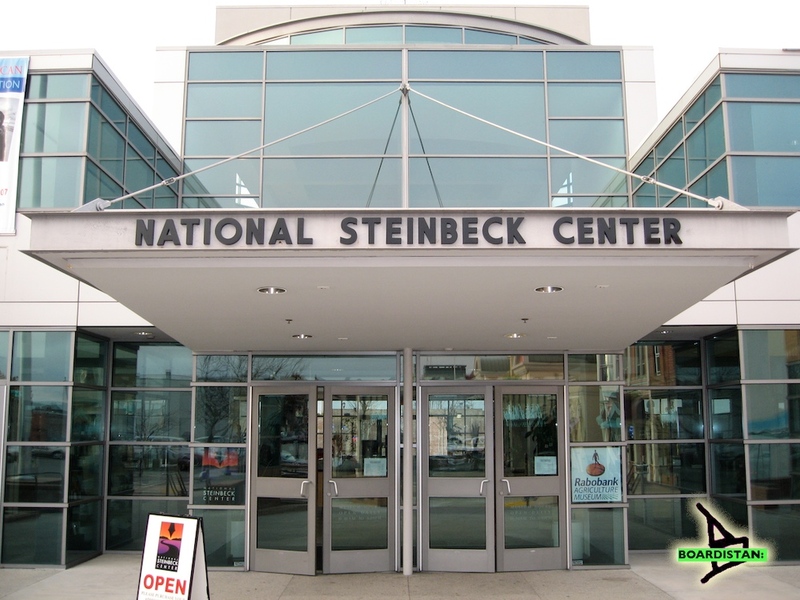 This entry was posted in literary roadtrip and tagged books, city lights, jack london, salinas, san francisco, steinbeck center, travel, Writing by Alison Doherty. Bookmark the permalink. Great road trip three diverse ideas!